Christmas time, we thought about to do something creative in our environment: the digital. We needed to create a digital action to promote our job (creative, illustration, development and marketing) in Christmas. Engagement and complicity with future clients. 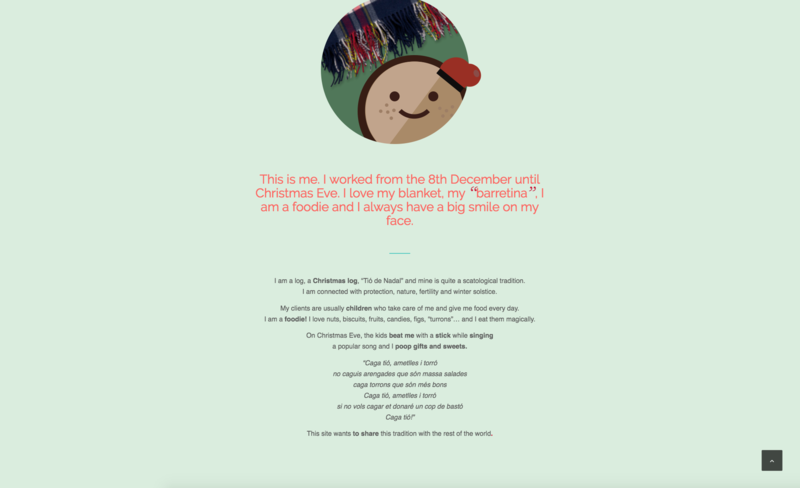 A digital action called “The pooping log”, based on a Christmas Catalan scatological tradition. A magic log which makes “poo” in the Christmas Eve; obviously is not real, the “poo” are gifts for kids. 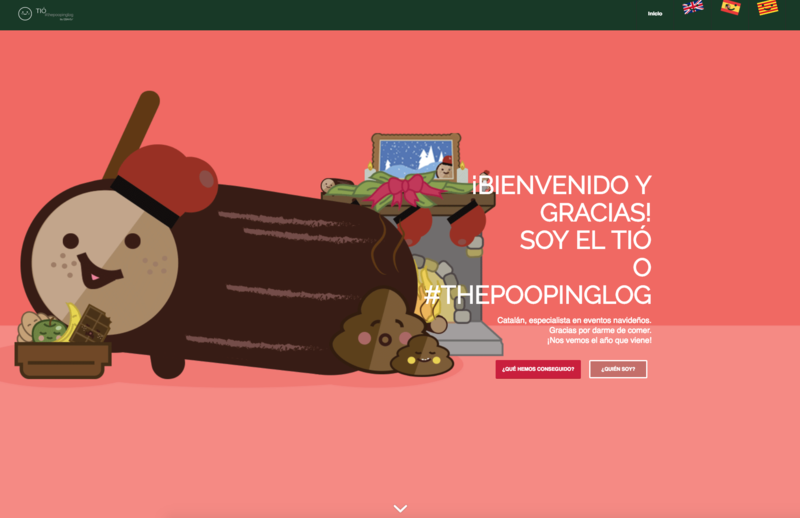 The idea consisted in feeding every day the pooping log (from 8th December – date Tió arrives at the house – to Christmas Eve) to achieved the “poo”. 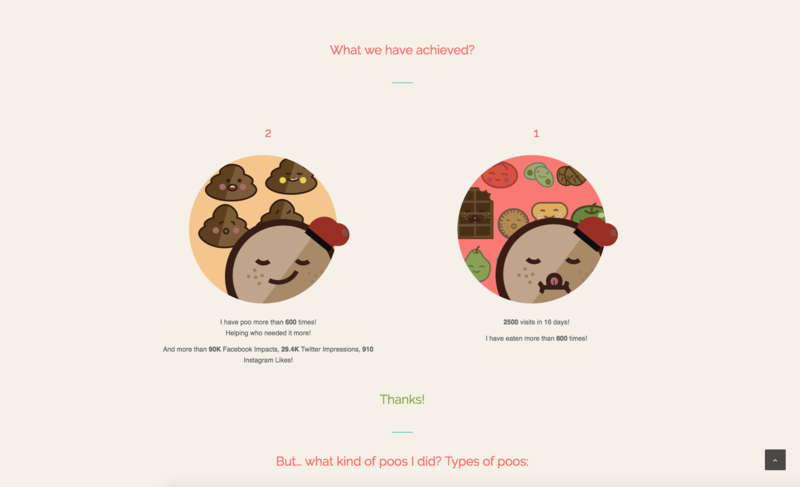 The poo was a share on Facebook or Twitter with an image (100 random images) + phrase + URL to promote a good thing with the #thepoopinlog. We customized WordPress with our creativity and developed code to share our action. We created a child Theme and managed 3 languages. Teaser: started in early November with a landing page (as a teaser site). Active (from 8th December to Christmas Eve): site activation with development. Closed: site closed with a landing page with the result. More than 800 clicks on the log to feed it. More than 600 times had the poo. And more than 90K Facebook Impacts, 29.4K Twitter Impressions, 910 Instagram Likes! Do you want something similar as The pooping log?